a QuickBooks Online third-party software product that creates the capabilities of tracking inventory and some manufacturing processes. It allows for quick access to related activities. SOS Inventory has the main functionality to all inventory management programs like: purchasing, sales, inventory management, and fulfillment. SOS creates purchase orders, item receipts, returns to vendors, sales orders, estimates, sales receipts, inventory adjustments and transfers, pick tickets, and shipments. 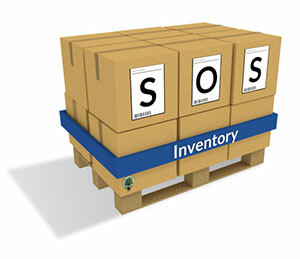 If you need quality inventory packages SOS Inventory provides serial number tracking. It has job tracking and rentals for inventory. Our Firm provides accounting system design and implementation services. We can set up new accounting systems for startup companies or evaluate and improve upon already-existing accounting systems. After implementation, our professional accountants can provide follow-up training and monitoring, either on a monthly-basis or as needed. We have consultants on staff who are certified in QuickBooks Accounting. We also provide onsite custom training and classroom training throughout the year. To order call us at 504-835-4213.